"Reconciliations: Don't Wreck your Recs [White Paper]"
Reconciliations form the foundation of a tightly controlled finance or operations department in any organization. Transparent, up-to-date and accurate financial data is not just essential for regulators or auditors, but it is increasingly an important tool for the executive branch to shape corporate strategy. Building an automated reconciliation framework can be an expensive, complex and time consuming process, tying up crucial business and IT resources with often the wrong result being delivered. 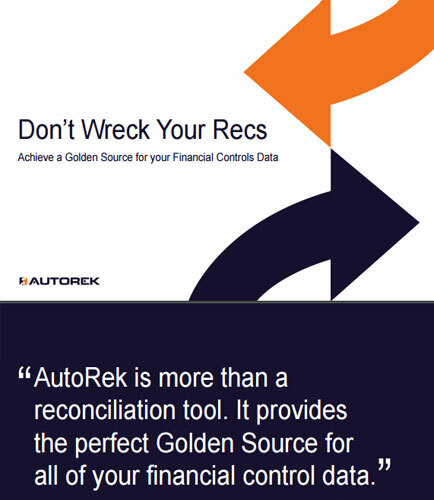 This whitepaper explores the benefits of using an automated reconciliations solution, by adopting an iterative 6-step approach to perfecting your financial controls regime. It also explains the typical benefits your firms may receive in the immediate period post implementation, and recurring thereafter. What is Financial Services ? The term financial services is not short of definitions, it can be defined in the simplest way as to include a plethora of continuously increasing services offered by financial institutions such as Banks, credit card companies, insurance companies, mutual fund providers, etc. As the world becomes more complex, so are the financial institutions. In order to meet the growing demands and compete in the ever growing financial market, the financial institutions are constantly innovating and developing new products thus increasing the financial services exponentially.